This fab image, above, is straight from the Penguin website here. If you are a Doctor Who fan, you will love this website. 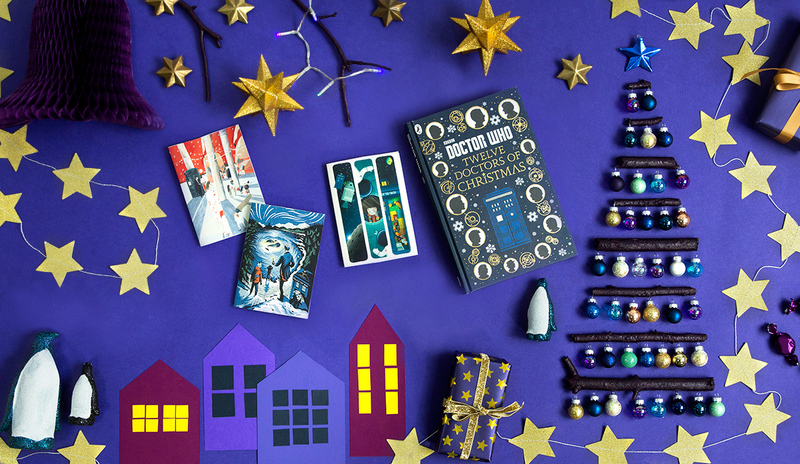 To celebrate the release of the new Doctor Who Book - Twelve Doctors of Christmas, Puffin Books are providing fans with a choice of four festive Doctor Who Christmas Card images to make your own cards. This could be a great craft idea to do with the kids this weekend. We were asked to visit the website and to download and make one of the cards to share with you. We found this a simple, but effective activity to do. Before I share this with you, I wanted to tell you more about the book. 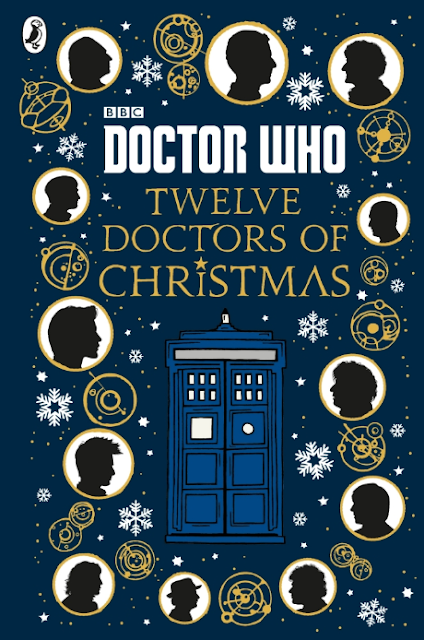 Doctor Who - Twelve Doctors of Christmas would make a brilliant present for any Doctor Who Fan. It is a collection of illustrated Christmas adventures starring twelve incarnations of the Doctor, his friends and his enemies. Expect to find timey-wimey mysteries, travels in the TARDIS and monster excitement all with a Christmas theme, such as the time the Doctor tries to get Rose a red bicycle for Christmas. I can think of a couple of little fans who would love this already. If you are a fan, you will probably be interested in the cards too. One of the pre-made images from the website here. 1. Print off the image of your choice. 3. Glue it onto some folded card in a colour of your choice. 4. Maybe add some glitter or other decoration to make it as festive as you like. I like the one that looks like it is in three sections, in the image above, but Lauren chose this one. It was simple to make, but so effective. Why not give it a go this weekend and if you do, tweet an image with the #PuffinChristmas to share your designs with everybody. The book is currently available from all good book shops. Do you know any Doctor Who fans? *This post was written in collaboration with Puffin Books. All thoughts and opinions are my own.